There are a lot of god-like characters throughout science fiction. While not an actual character, the Force had some god-like qualities. The Marvel universe is filled with different god-like characters: Thor, Ares and the Watcher. Q was definitely a god-like character in The Next Generation and Captain Kirk ran into a god that needed a space ship in Star Trek V.
Thankfully our God isn’t anything like the Emperor, Loki or Q. While those god-like characters couldn’t have cared less about normal people, our God cares more about us than we could possibly ever imagine. This past weekend the sermon at our church was based out of 1 Peter 5. One of the passages that really stuck out to me was verse 7. I love the idea of casting our anxieties on God. The image of just chucking all of our worries and concerns at God makes me smile. It really made me smile when I was sitting in service, listening to the sermon. I don’t experience a lot of stress but, sometimes, if there’s an issue or conflict that needs to be addressed, I can focus on that to the point of anxiety. Right before I went into service on Sunday an issue was brought to my attention that will need to be addressed. There wasn’t anything I could do about the issue in the moment but I couldn’t stop thinking and worrying about it. Thankfully, in the midst of that anxiety, God spoke to me through the sermon and 1 Peter 5:7. I realized that our God isn’t disconnected and aloof but that he intimately cares about me. He wants me to cast my cares on him, even those ministry issues that keep me up all night. 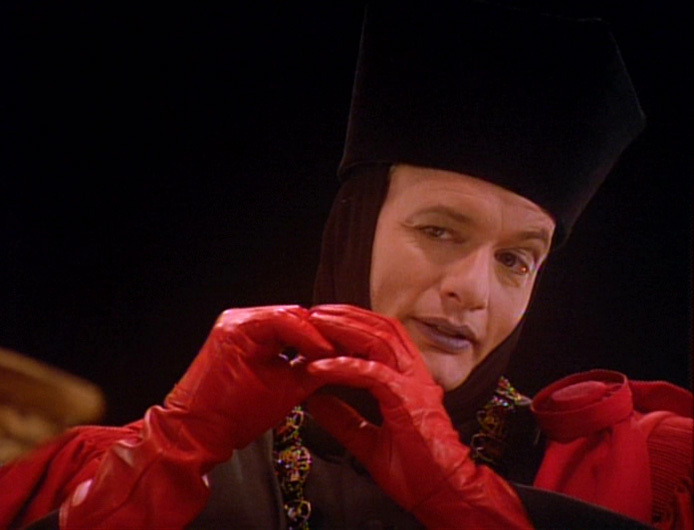 I’m glad that Q wasn’t as kind and compassionate as Yahweh; had he been TNG wouldn’t have been nearly as entertaining. We should be excited that our God is completely kind and compassionate. We should also find freedom in the fact that God wants us to cast our cares on him. We don’t have to live with the anxiety of our lives because God is there to alleviate our burden and give us peace. Which is better than a god swinging around a magic hammer but the magic hammer is still pretty sweet. What helps you cast your cares upon God? I'm slightly certain I will learn lots of new stuff proper here! Best of luck for the next!